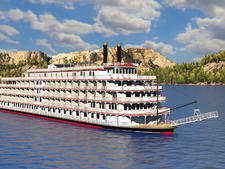 The second vessel in American Cruise Line's "modern riverboat" series to debut following the 2018 introduction of American Song, American Harmony eschews the Mark Twain-esque aspects that have traditionally characterized Mississippi River cruises. 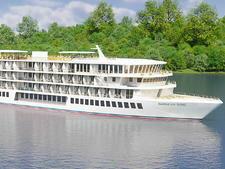 Gone are the paddlewheel propulsion and the traditional Victorian-era riverboat design, replaced instead with something that more closely resembles a modern coastal cruise ship. 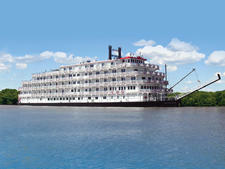 The 11th ship in the American Cruise Line fleet, American Harmony blends big-ship amenities with a modern river cruise boat to create something that is unique on the Mississippi. 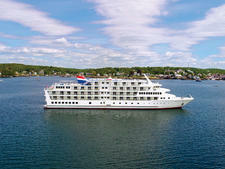 Together with her sister American Song, American Harmony has some decidedly uncommon features, including a four-level atrium topped with a skylight, an all-balcony cabin arrangement and two Grand Suites that push the 900-square-foot mark. 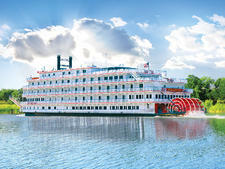 Setting sail in summer 2019, American Harmony seeks to honor the past on its interesting and informative Mississippi river cruises, while actively carving out the future of American river cruising. Meals are served in the ship's grand dining room on Main Deck, which is capable of seating all passengers with no assigned tables. Regionally inspired cuisine is served up each day, from sumptuous breakfasts to multicourse dinners. Complimentary drinks and hors d'oeuvres are offered during a daily cocktail hour, and round-the-clock snacks can be found in the main lounge. Complimentary room service is offered to all passengers during mealtimes. 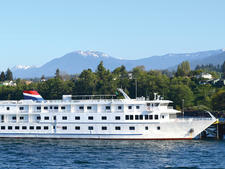 All cabins aboard American Harmony offer private balconies and range from 250 to 900 square feet in size. Two cabins designed specifically for solo travelers are available, while three different categories of suites are available for those seeking more personal space. 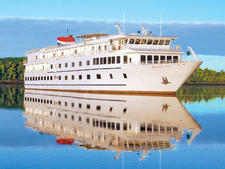 Particularly noteworthy are the two Grand Suites that measure 900 square feet apiece and include balconies that wrap around the stern of the ship, offering 270-degree views of the Mississippi River. These suites also boast separate living and sleeping areas with floor-to-ceiling glass windows. All staterooms aboard American Harmony offer twice-daily service, complimentary in-suite breakfast room service, bathrooms stocked with toiletries and bath amenities, and soothing decor comprised of light blues and earth tones. American Harmony's uppermost deck features open-air seating and plenty of viewing space for those who want to take in the sights and sounds of the Mississippi. With a clean and uncluttered layout reminiscent of a modern European river cruise ship, plenty of space is offered for guests looking to relax and enjoy a day of scenic cruising. 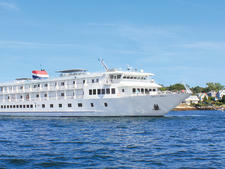 American Harmony has two comfortable lounges where lectures, presentations and onboard entertainment are delivered daily. The Main Lounge is located all the way forward overlooking the ship's bow, while a secondary lounge (known as the Sky Lounge) is situated one deck up, all the way at the rear of the ship. In addition, space for relaxing and lounging is provided on each level of the ship's four-story atrium, and a small library with destination-relevant books is situated all the way at the back of the ship on 2nd Deck. With the exception of scheduled entertainment events, American Harmony is like other American Cruise Lines ships: quiet and subdued. Fellow passengers are likely to be found reading, or in conversation with others over pre- or post-dinner cocktails. American Harmony doesn't cater to families with children specifically, and no special areas for kids or teenagers are available onboard. A handful of children might be seen on summer or holiday sailings but, by-and-large, this is a cruise experience geared towards mature adults. 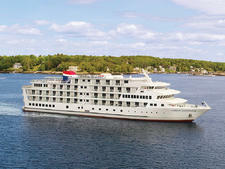 American Harmony will sail both Lower and Upper Mississippi River cruises. 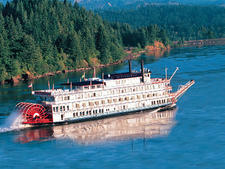 Most of these cruises last one week in duration and with the exception of a monthlong break in January, run year-round.